Docker-compose is a command line tool to define and configure multi-container docker applications. In other words we can say docker compose is used to link multiple containers and deploy application from a single command. 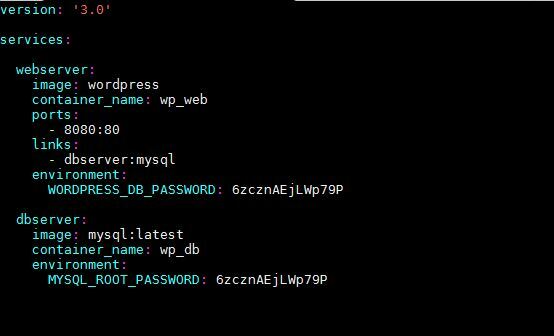 Let’s assume we want to deploy WordPress site inside a container, so to deploy this i would be requiring one Web Server container (Apache/ nginx) and one database container (mysql / mariadb). In this article we will discuss how to install Docker Compose on existing Docker host and then we will learn how to deploy containers from docker-compose command. In our previous article we have already discuss the following topics. I am assuming here that we have existing docker host up and running. Now let’s jump into the installation steps of docker compose tool. To deploy docker containers with docker-compose command , first create a directory under that directory create a compose file with name ‘docker-compose.yml‘ or ‘docker-compose.yaml‘. In the compose file we will define the services for our applications and container images. In the above compose file we have define two services with the name “webserver” and “dbserver”, for these services I have also specified container image . Apart from this I have specify environments by mentioning the mysql root password and wordpress db password. Note: Run ‘docker-compose up’ command from the directory where docker-compose file exists. 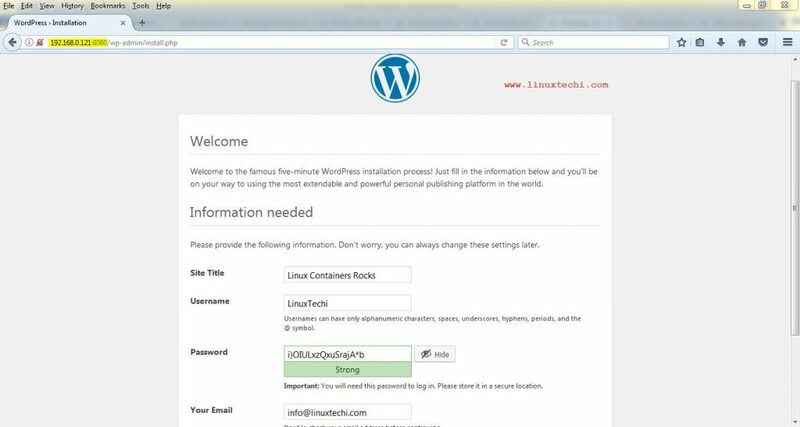 Complete the screen instructions to finish WordPress Installation. 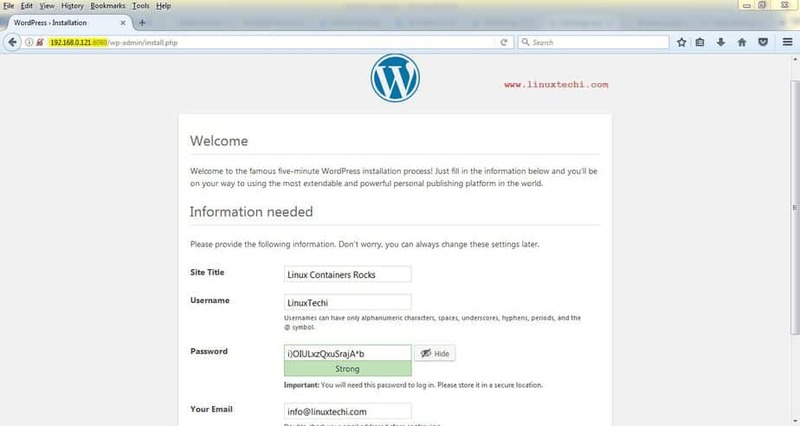 This confirms that we have successfully deployed WordPress site inside the containers using docker-compose tool.